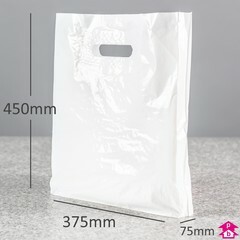 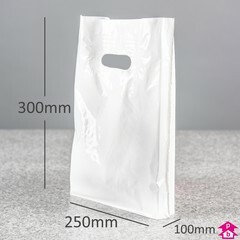 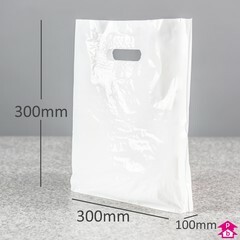 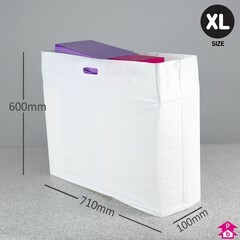 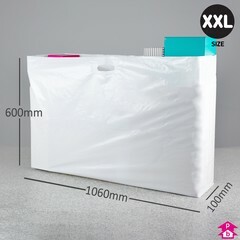 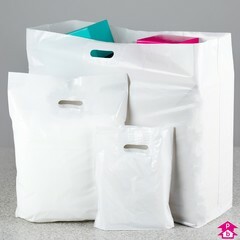 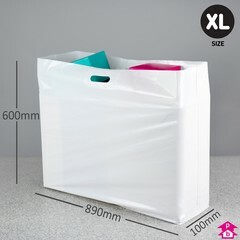 These classic carrier bags are made from crisp white polythene and feature a reinforced patch handle for extra bag strength and a more substantial feel. 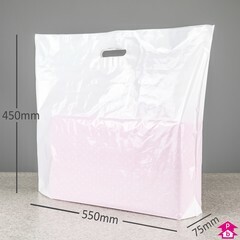 A firm favourite with stylish retailers everywhere, this type of bag is also used for our printed carriers service. 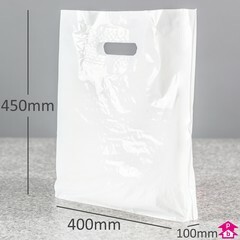 With a free quote in just 60 seconds and a minimum order of just 1,000 bags, printing your company logo or design on your bag has never been easier!